If this page doesn't load with links on the left side, please click here (once) to go to the home page! 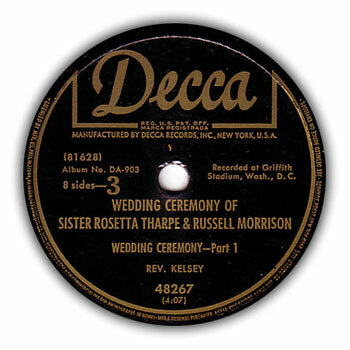 A somewhat odd release, as Decca also realized in 1951, given the cover text: "Wedding Ceremony is one of the most unusual offerings which Decca has ever made". 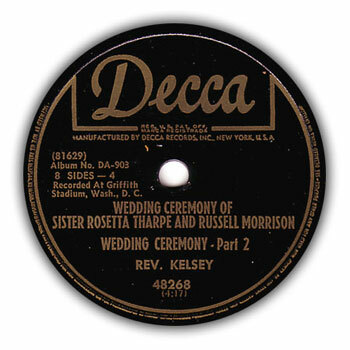 It's an unique document covering the wedding ceremony of Sister Rosetta Tharpe and Russel Morrison on July 3, 1951. In no way this was an intimate party for family and friends, as at least 15,000 people were there (some estimate 20,000 to even 30,000 visitors! ), and all had to buy a ticket. 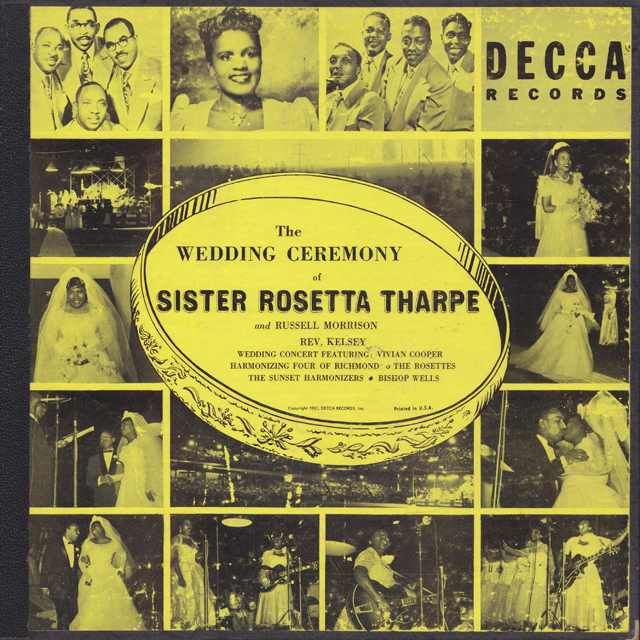 Some parts of this evening were put on record by Decca, Sister Rosetta Tharpe's label at the time, and it was released on a box of four 78rpm records and on a 10inch LP.